Option #2 is called a static homepage, which we'll be setting up here. First, navigate to Appearance » Theme Options and click the Static Homepage tab. Click "On" to activate it. Then you can use the Layout section to configure the order of your widget areas. You can set this up now or return later. Then create a new page (Pages » Add New) called Home (the name can be whatever you want). On the right-hand side, find the Page Attributes box. Inside that box, find the label for Template. Click the dropdown and select "Homepage" from the list. Then save. Then create a second page called Blog. Leave this page entirely blank and just publish it. 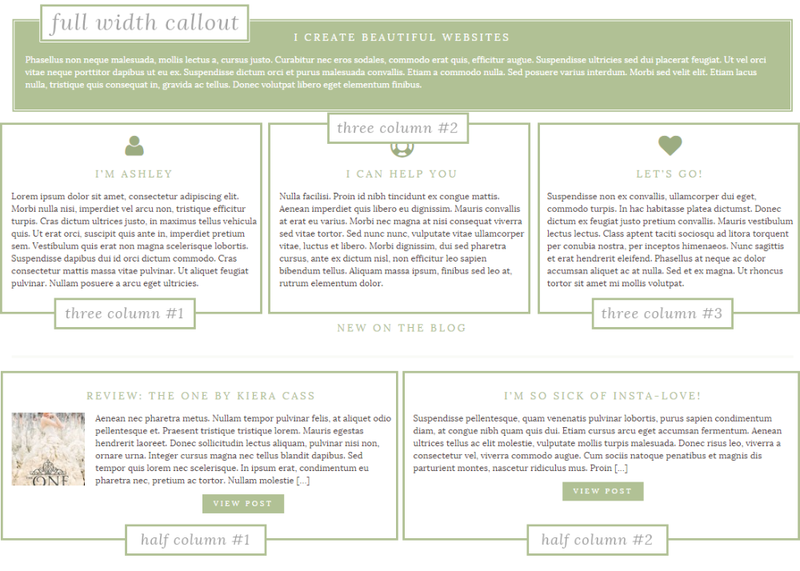 This is the page we'll be using to display your blog posts. Next go to Settings » Reading. Find where it says Front page displays and select "A static page". 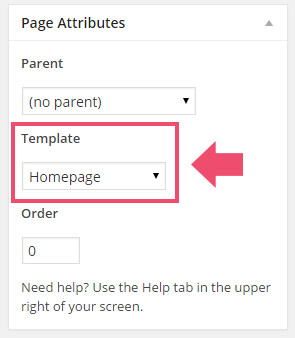 In the dropboxes below, set the Front Page to the "Home" page you just created. Then set Posts Page to the "Blog" page you just created. Now you have all the main stuff set up, so you can start populating your homepage. Go to Appearance » Widgets. You should see A TON new widget areas! Each widget area corresponds to a section from the "Layout" box in the settings panel. Remember that? Simply add widgets to the different areas. You can go back to the settings panel and change the layout if you want to adjust the order.